If you are looking to undertake a domestic building project, it is vital to check which consents you require. 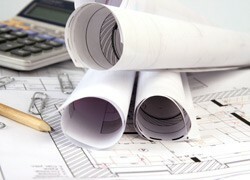 BM Plan and Design specialise in domestic architectural services in Glasgow and Central Scotland. BM Plan and Design would visit you at your home or place of work and discuss your domestic planning and building consent options. The initial conversation and meeting is free of charge. Common projects that require planning are warrant applications. Many people decide to extend their living space for their family through a home extension. Usual home extensions require both planning permission and a building warrant. BM Plan and Design will explain exactly what you need to cover the home extension plans. BM Plan and design will then at your request apply for these consents on your behalf. Attic Conversions provide additional space for storage, office space or bedrooms. If you are planning on converting your Attic you will require a building warrant and may also require planning permission. BM Plan and Design specialises in domestic architectural services and will undertake this project for you. Garage Conversions usually require a building warrant. BM Plan and Design will confirm if planning is also required. BM Plan and Design will provide any type of Domestic planning or warrant design. The company specialise in the planning approval, Building warrants and any structural planning and design services that may be required. A site visit to survey the existing property, to enable us to create the existing drawings. A proposal drawing based on your requirements will be produced. The proposed drawings will be sent to you for comments and for any amendments to be made. We would then complete all the necessary paperwork and lodge the application with the council, we will deal with the council on your behalf and deal with any issues arising until such time as a planning decision is made. Building warrant drawings will then be created. From these your contractor can calculate an approximate cost for the job. We would then complete all the necessary paperwork and lodge the building warrant application with the council; We will then deal with all the relevant enquiries from the council relating to the application until such time as the warrant is granted. Our staff are available throughout the project to provide ongoing advice and support during the build process, relating to the drawings, the council and indeed your appointed contractors if they have any questions. Any additional paperwork for the process is available at no extra cost. Council application costs and specialist services are the only other fees to be considered.